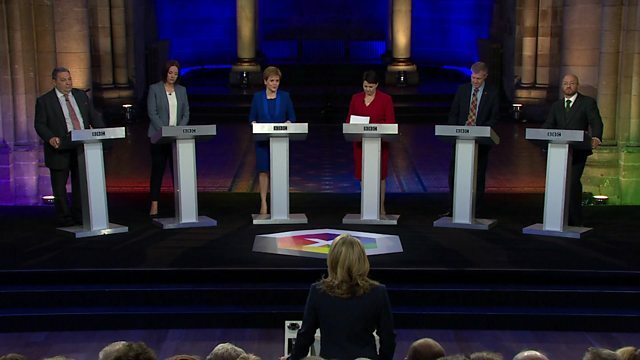 The SNP's Nicola Sturgeon, Conservative Ruth Davidson, Labour's Kezia Dugdale, Lib Dem Willie Rennie, the Scottish Greens' Patrick Harvie and Ukip's David Coburn take part in a debate in Edinburgh ahead of the general election. Presented by Sarah Smith and Jackie Bird. Scotland and Scottish Party Election Broadcasts from the 2017 general election.